Krystal aka Kaligirl1980 (GOC First Wave) is back with another protective and office-worthy style for medium length hair! 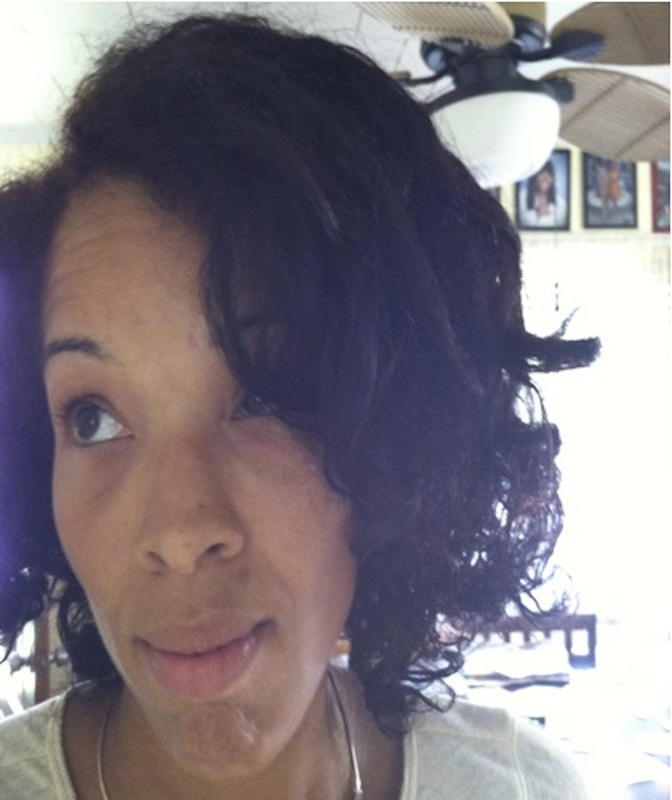 I was originally going to call this post, “Afro Puffy Twists or How My Dream Turned into a Nightmare.” However, time has allowed wounds to heal and a level-head to prevail. Now that I’ve sufficiently recovered from my PTSD (Post Twists Stress Disorder), I feel that I can give a breakdown of the Pros and Cons of my long-term, winter protective style, Afro Puffy Twists. 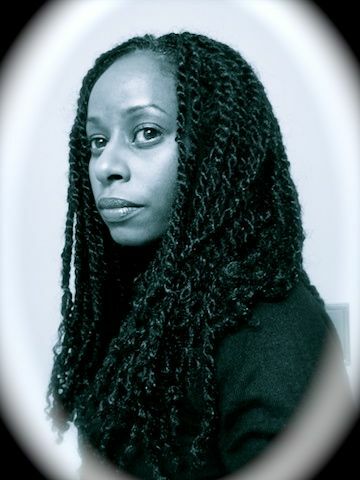 I love the look of Afro puffy twists. I finally had the lush twist that I’d lusted after for the last couple of years. The style looks very natural and real. The older it got, the better it looked. The ends of the hair curled on their own as natural hair would. It was nearly impossible to distinguish my hair from the Nafy Collection Afro Puffy Twist hair (though, this pro became a con with the take down). 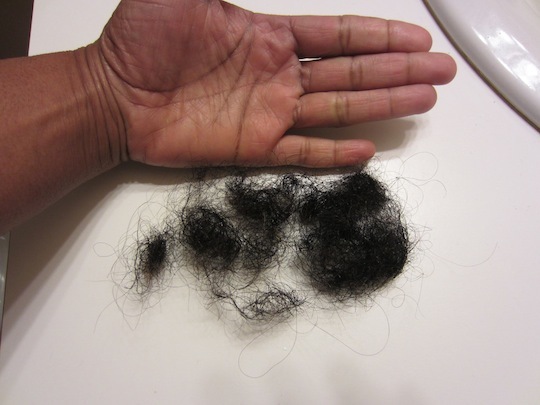 I had a braider that was gentle, didn’t comb through my hair, parted it gently and didn’t braid too tightly. I requested cornrows at my hairline and they prevented the extensions from dangling on my finest strands. So, I didn’t lose any twists/hair due to the weight of the extensions. 6 weeks of NO detangling. My fingers and nails had become extremely ragged and rough due to the drying winter air and inside heat. I didn’t have to worry about destroying my strands with my busted fingers as I wasn’t handling my hair as often. Ease of daily styling … this is for real, get up and go hair. I loved that I could wake up, do absolutely nothing to it and it still looked great going out the door. Styling versatility (check out my FB album for more pics). Ability to have a style that showed length, but still protected my strands to a large extent. 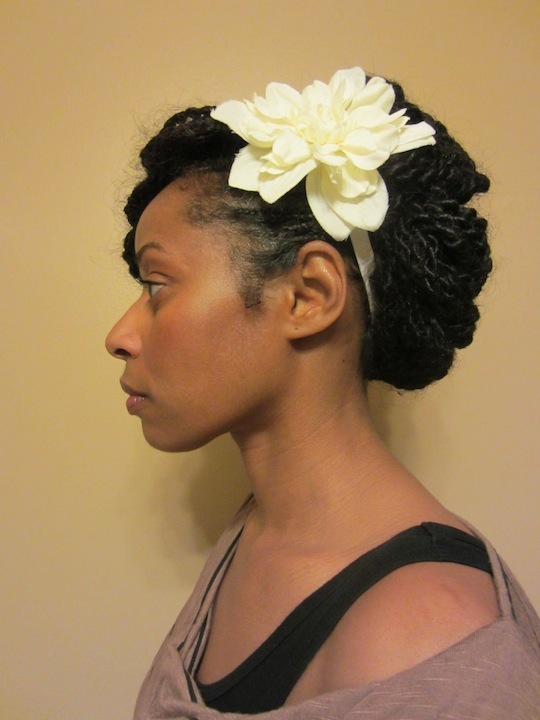 Although I wore the twists in updos the majority of the time, I could wear them down and out with little risk. Limited daily maintenance. At the most, I would oil my scalp and moisturize and seal the length every 3-4 days. Limited weekly maintenance. Although my plan was to wash it once a week, I only washed and conditioned the twists once in the 6 weeks that I wore the style. Limited styling products. 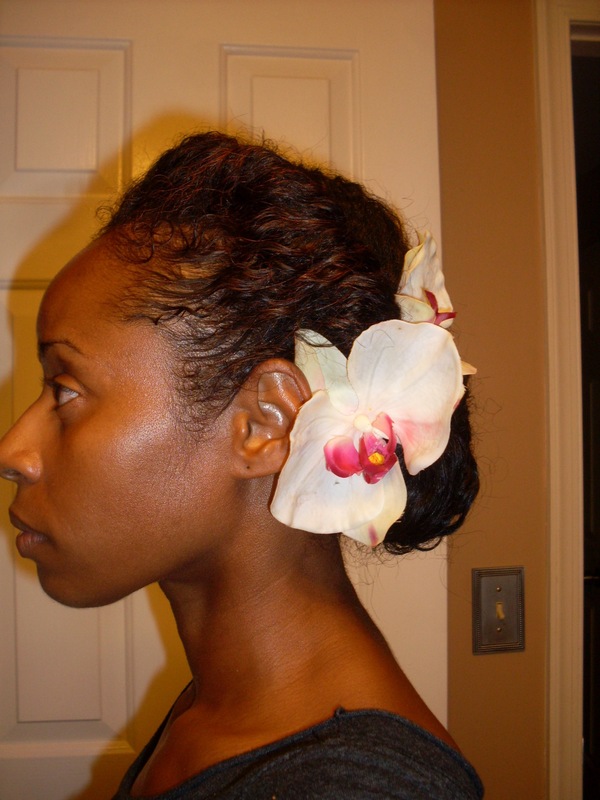 I used my essential oil mix for my scalp, kimmaytube leave-in or Oyin Juices n’ Berries to moisturize and EVOO to seal. The one time I washed, I shampooed with diluted Shea Moisture Raw Shea Moisture Retention Shampoo and conditioned with Aussie Moist. I didn’t pre-poo or DC during the 6 weeks. 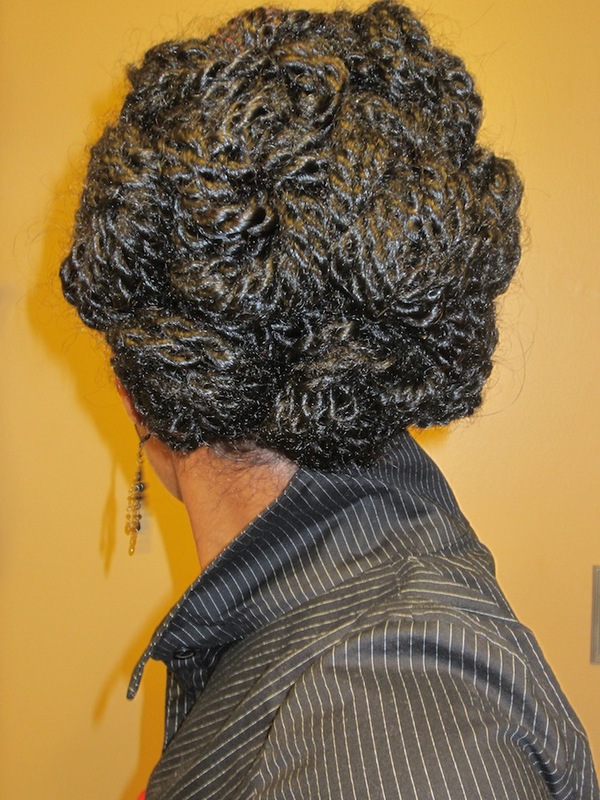 My hair feels and looks like it is in very good condition, with minimal breakage and normal shedding, post twists. pleasantly surprised that this is all I saw after 6 weeks of no finger-combing/detangling. The anxiety of finding the right braider who won’t pull hair too tightly or comb through it with a fine-tooth comb from root to tip instead of tip to root. However, the anxiety was for naught. The anxiety and time to blow-out my hair myself to reduce the likelihood of a braider causing heat or mechanical damage. Again though, it was for naught because the blow-out process went pretty smoothly as I did my research first and took my time. 7 1/2 hours to install. I had a lot of flyaways. I think this was because the braider didn’t use any product on the length of my hair before twisting it. 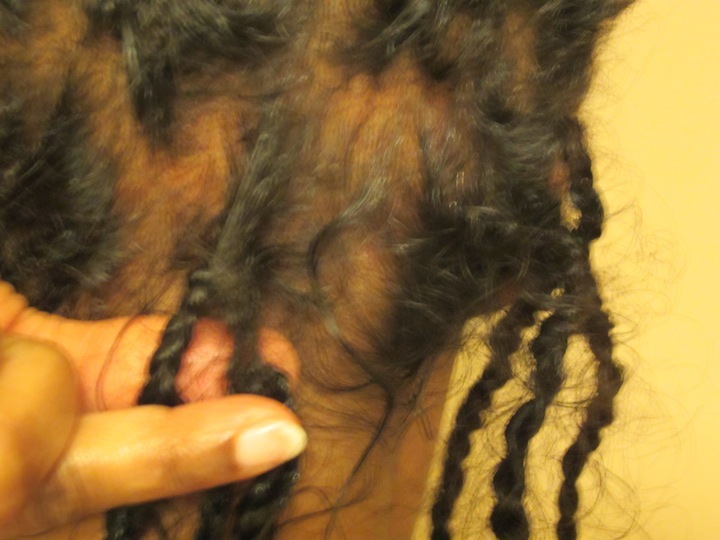 I had some serious matting of twists at my nape. 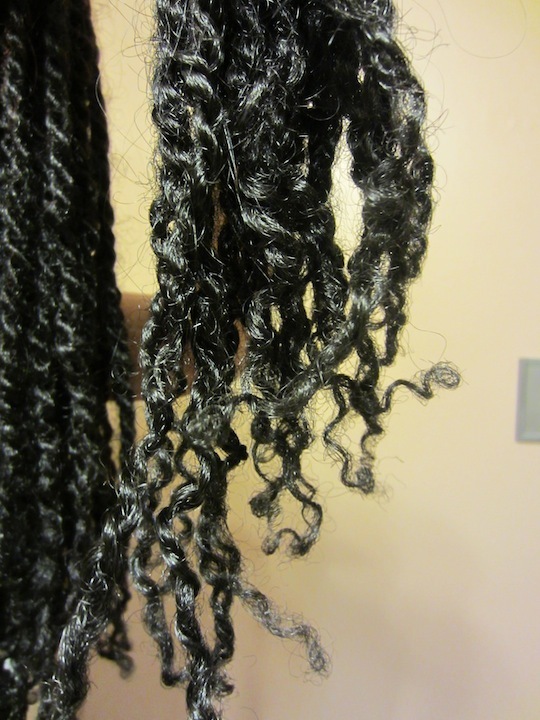 Hair from multiple twists started matting together. This area was especially vulnerable to ensnaring sweater and scarf lint, dust and gunk. Given that this is the finest hair on my head, this was not good. 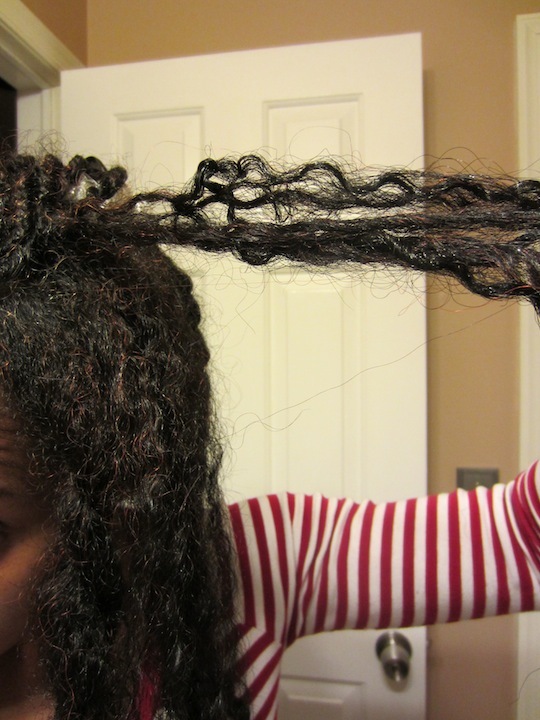 3 day, 20+ hour twist take down (see here and here). This pretty much negated the timed saved in daily styling. It was difficult to distinguish my hair from the twist hair, which meant I had to handle the twists as gently as I would have if they were all my hair. This extended to the take down as well. The difficulty in removing the twists due to the way that they were installed. Two spray-in detanglers, conditioner, and an EVOO “steam bath” did very little to ease the take down. 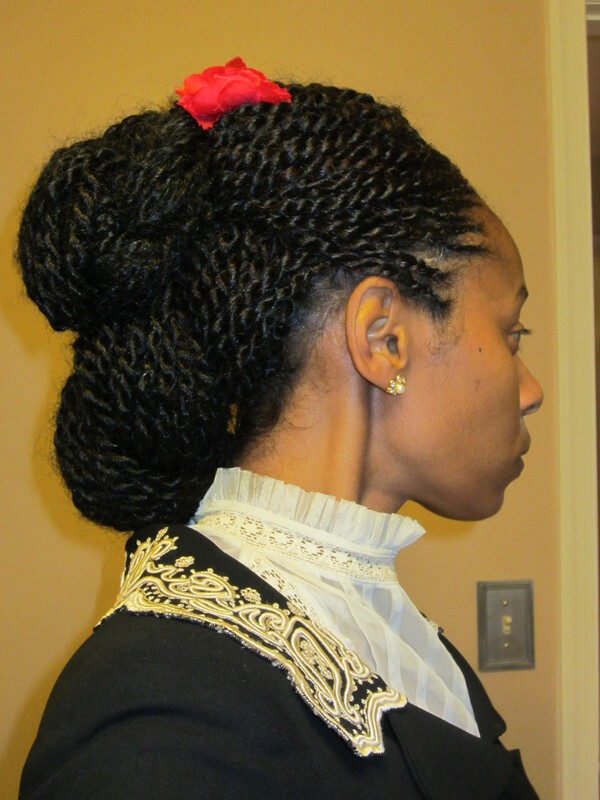 Each twist took a good 5-10 minutes to remove as my hair extended the full length of the twists. So, there was no cutting off a part of the twist before untwisting. 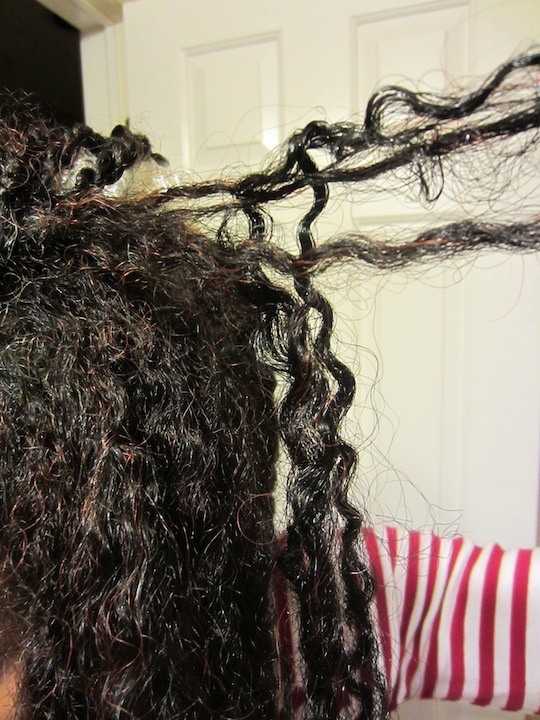 Between the added hair at the end to cover my hair, the rolling of my hair in the twists and the braids at the roots with all three sections containing strands of my hair, there was no quick way to remove the twists without damaging my own hair. 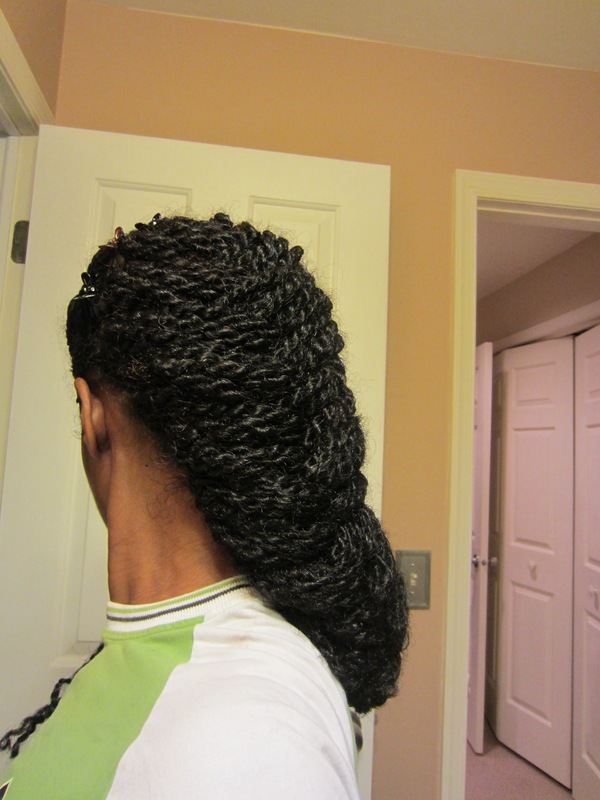 This is the hair and sections in ONE twist! So, in conclusion, would I get twists with the Nafy Afro Puffy Twist hair again? Yes I would. Surprised? I think the pros mostly outweighed the cons. Ultimately, though the take down was trauma inducing, it didn’t result in any permanent damage and my hair felt great after my wash, henna, DC and style. Also, I loved them so much and I think that the drama of the take down could be averted with some different techniques. 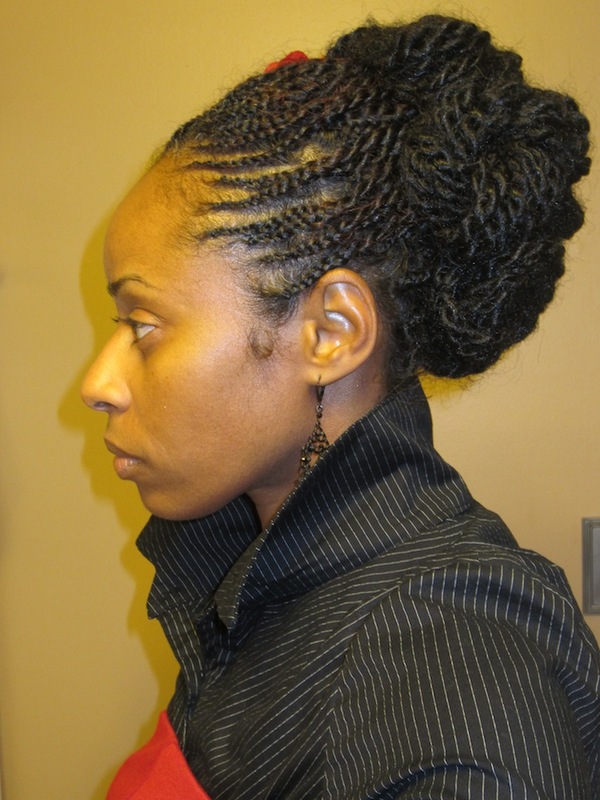 I would have the twists installed using the Senegalese twist technique at the roots instead of braids. I would ask the braider use some type of holding product on the length of my hair so that I wouldn’t have as many flyaway hairs. I would request that the length be loosely twisted, rather than twisting the individual sections first and then twisting the two together. I think that this caused my hair to be ensnared in the extension hair more than it needed to be. 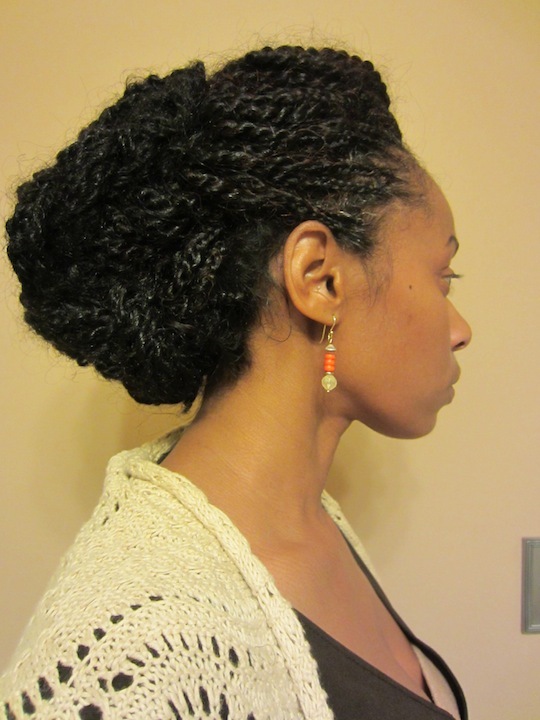 I would keep a more cautious eye on the nape twists and remove them when I start to feel appreciable matting. 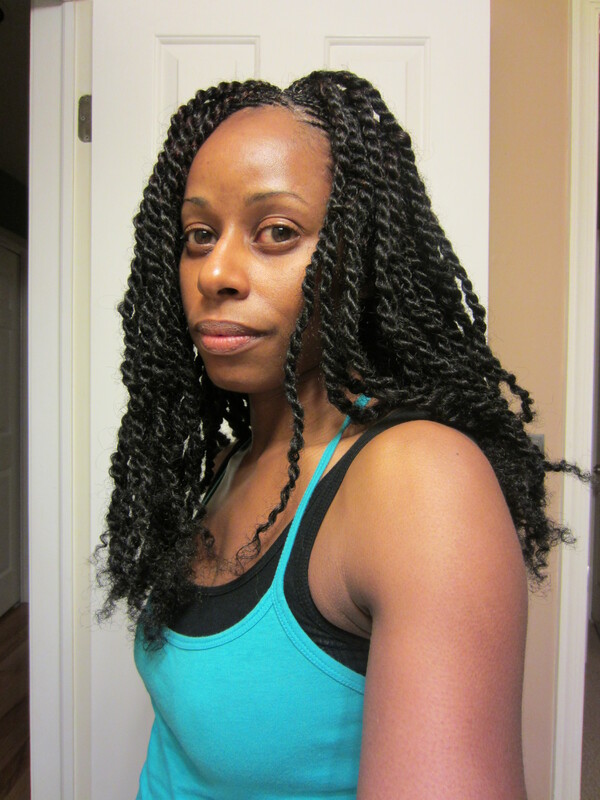 I would either have them “refreshed” or just twist my own hair until I was ready to take down all the twists. I’ve been thinking that I may try to do my next install myself, using bigger sections. However, I know myself pretty well, and don’t think I’d have the patience or willingness to actually make a go of this on my own. Maybe I’ll try Havana Twists next? I have 3 bags of hair left! 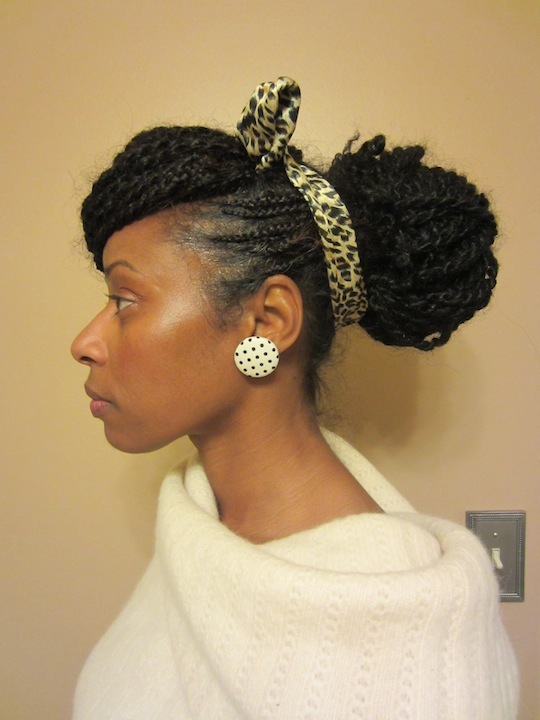 Do/have you worn twist extensions? What are/were the pros and cons for you? What precautionary measures do you take prior to the install? For the take down? Would you get them again? 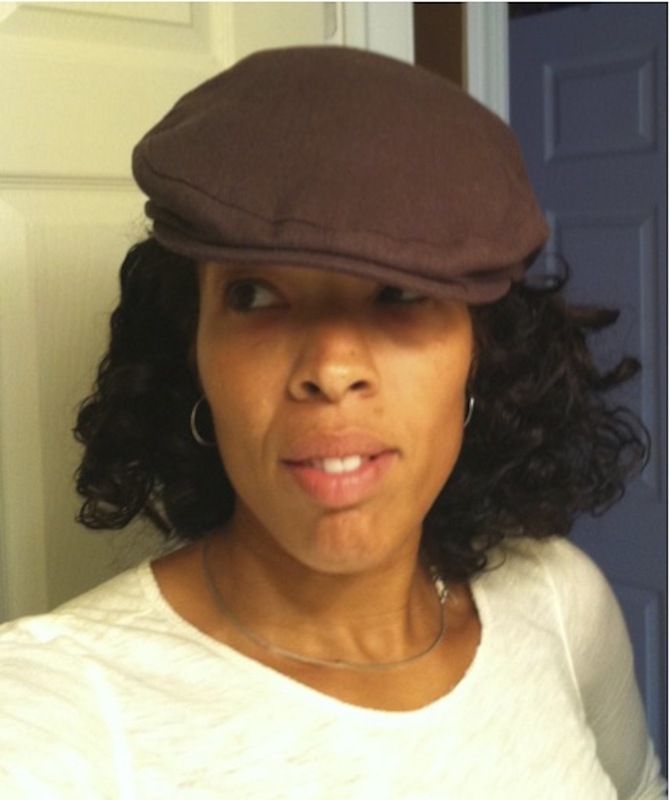 Miche’al (Second Wave) checks in with an October/November update! What month are we in???? I can’t remember the last time I did an update! Co-washed with Herbal Essences Anit-Frizz Conditioner and detangle. Deep conditioned with Earth Science Olive & Avocado Deep Conditioning Masque. Part hair into 3 sections (side, middle, side) and leave hair soaking wet. Start in the middle, part the hair sections a little less than the width of the roller. 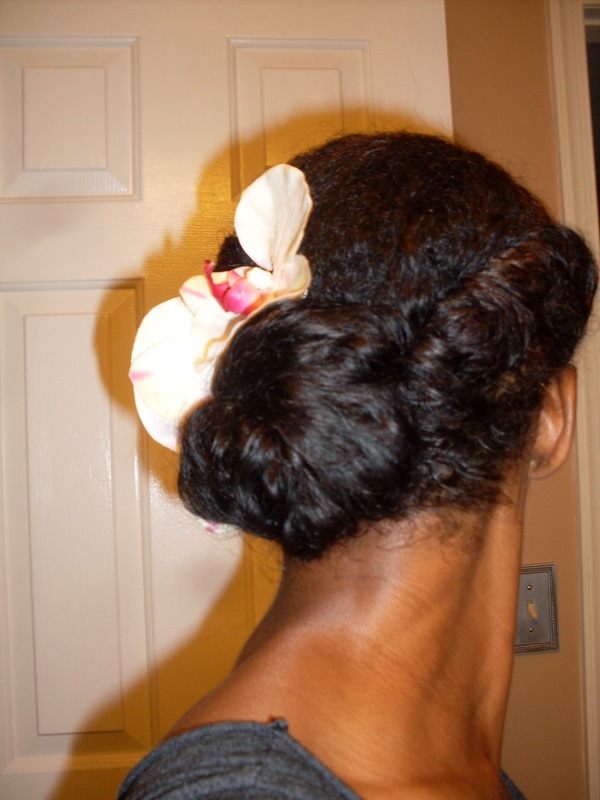 Spray ends with Infusium 23 and apply a pea size amount of coconut oil on the ends; comb through thoroughly. Roll hair without too much tension on scalp; secure rollers with duckbill clips. I sat under the dryer for about an hour and then went to sleep. Before unrolling, I made sure that the hair was completely dry. I fluffed curls and that was it. Second day I was bunning!!! My diet has been the same, but my exercise game has failed completely. I prefer to run and the weather has prevented me from doing that. I should invest in a treadmill. ‘Til next time Blessings to all!!! Back in August, I told you in this post that I filmed a tutorial for the style pictured above, but was unable to successfully upload it to YouTube. This weekend, I finally figured out how to do it! Without further ado, here is the video tutorial for the roll and bun! Enjoy! 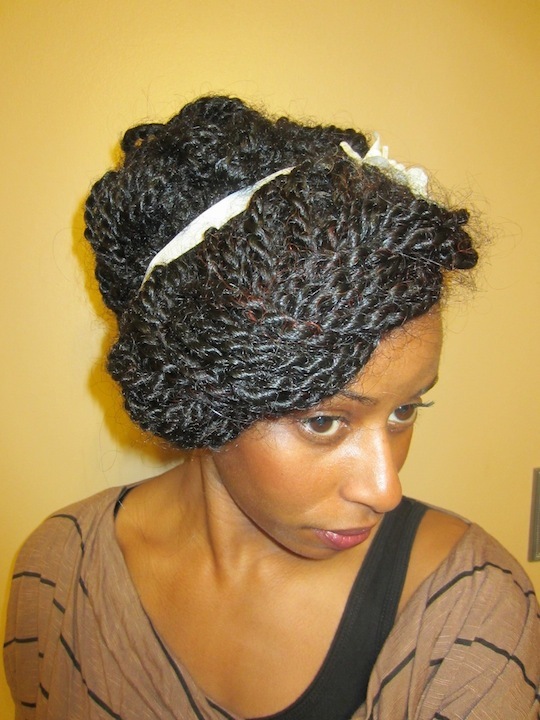 Now Arriving: Afro Puffy Twists! Okay, just doing this really quick post to share my new hair with you! I LOVE it!! In my opinion, the hair is soft, flexible and light when compared to other synthetic braiding/twisting hair and it should only get fluffier and more natural looking the older it gets. 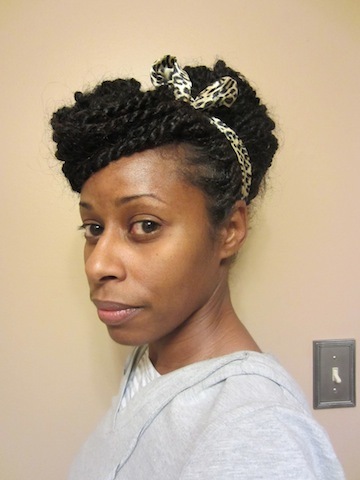 When I got home, I spritzed the twists with Sally’s GVP Infusium 23 leave-in, sealed with EVOO and applied my EO mix to my scalp around the cornrows and crown. I am already playing around with different styles and can’t wait to see what else I can come up with! It is sooooo on! As to my experience at Braids ‘R Us in Maplewood, NJ? EXCELLENT! Maza (sp?) was my braider and she was very gentle with my hair, didn’t braid too tightly and did exactly as I requested in regard to cornrowing my fine edges. I brought my shower comb with me and combed through my hair before we began and Maza didn’t comb through my hair at all, she simply parted it to form the sections. If she ever snared or tugged a strand (which was rare, maybe 4-5 times during the entire process), she quickly apologized and gentled her touch. The style cost $140 ($160 with tip), took about 7 1/2 hours to complete (due to the length of my hair) and two bags of the Nafy Collection Afro Puffy Twist hair (which I purchased online and brought with me). I do wish that my hair was a little more moisturized. So, in the future, I will add a moisturizing oil, like coconut or Vatika, to my hair while it is still wet, prior to blow drying. In this way, my hair should be more moisturized without being “producty.” If I was flat-ironing, I might visit grapeseed oil or try the rest of MopTopMaven’s Flat Ironing Cocktail;). Back to Braids R’ Us though, it was really good experience and reaffirmed why I went there years ago and referred others to the salon! It is a little more pricey than some braiding parlors in northern NJ, but I believe it is totally worth it for the care given to my strands and the final results. So yup … I’m a happy camper:)! I plan on trying to keep these in until the end of our GOC at the end of January, so 8 weeks. I hope that I can hold out that long as I usually get antsy around 4 weeks and remove extensions at about 6. So, we’ll see. Krystal aka KaliGirl1980 is back with another video tutorial for a super cute updo for medium length hair!! LOVE THIS Krystal!! And your hair looks super shiny and healthy! This would work for longer hair too. Now if only I can figure out how to two strand flat twist!! Krystal, GOC First Wave, is back with video tutorials for a cute, quick, easy and protective style for medium length hair! Here is the link to a video that I just made for medium length hair. I’m glad you’re doing this challenge/giveaway because I think that the lack of hair styles for medium length hair really led to my frustration. I have a new lease on life as of yesterday afternoon :). I would love to win one of those books. I’ll be submitting at least one more video for the style library. Same style with a slight alteration.